Artists are not liable for allergic reactions to paints. People with skin allergies or sensitive skin should either not participate, request an ingredient list, or have artist perform a patch test at the beginning of the event. Artist can provide ingredient lists for those guests who have allergies, if requested at least 24 hours before the event. Artist will not paint anyone who is or appears to be sick or suffering from cold sores, conjunctivitis, ringworm, sunburn, eczema, any infectious skin condition or open wounds. These determinations are at the artist’s discretion. 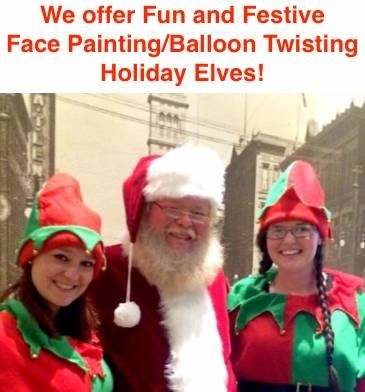 Artists, nor Giggle Loopsy, LLC is liable for damage, injury, or illness sustained from allergic reactions or rashes of any kind from face paints, or face painting accessories. Client understands that darker face paints will linger and must be removed with mild soap, water and washcloth. We strive to use only the safest and FDA approved materials, however, no product can guarantee that they will not cause a reaction on anyone. It is the client’s responsibility to be aware of ingredients that they may be sensitive to, and ask for an ingredient list if desired. The artist reserves the right to refuse to paint any attendees with signs of infectious diseases at any point in the event. Although we only use paints that are safe for use on skin, allergic skin reactions can occur and paint should be removed immediately. At some parties, latex based balloons are used. The host(ess) must alert Giggle Loopsy to any possible allergy to latex at least 24 hours before the party. We use only quality made balloons that have been determined to be safe to use around children. 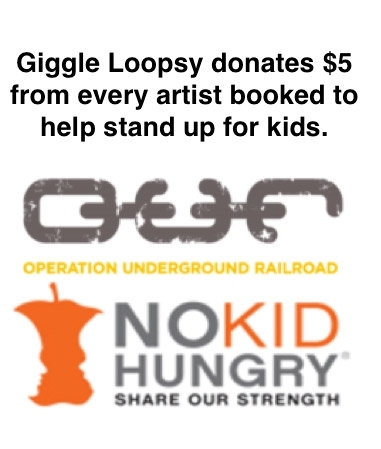 However, Giggle Loopsy, LLC, nor it’s artists, is liable for damage or injury sustained from allergic reactions to latex balloons or any other resulting injury. You may cancel and receive a full refund of your deposit up to 7 days before the event. After that, the deposit will be applied towards a re-scheduled event (with no expiration). By having your guests painted and photographed, permission is thereby granted to use images for our portfolio and marketing materials, such as printed brochures, social media (Facebook, etc.) or website gallery images. No last names will be revealed. If you do not agree, please inform us and you and your guests’ privacy will be respected. Artists may take photos of their work. Artist retains the right to use these images for promotional purposes on the company website and social media pages. If you do not wish for photographs to be taken, please inform us in writing prior to your event. We require a $100 deposit in order to save your party date and time to our calendar. See cancellation policy above for information regarding a refund of your deposit. Unless otherwise agreed to prior to the party/event by Giggle Loopsy, we will automatically charge the same credit card you used for the deposit for the final balance. The final charge will occur after the party has been completed.